Business and building owners can prevent heat-related complications by installing proper ventilation in their buildings and work areas. Excessive heat is not only damaging to your technology and equipment, it is actually damaging to workplace productivity as well. Per OSHA (Occupational Health and Safety Administration) rules, business owners must ensure that a safe working environment is provided for workers, and that reasonable accommodations be made if need be. Business and building owners can prevent heat-related complications by installing proper ventilation in their buildings and work areas. Using exhaust fans in kitchens and bathrooms. Increase ventilation when painting and waxing floors. Keep your external intake vents away from waste collection and parking areas. Adding a dehumidifier to your HVAC system. 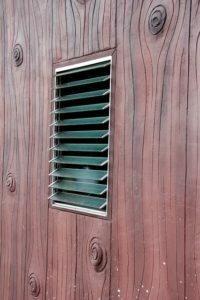 Ultimately, a licensed HVAC contractor will give you the best idea of the state of your current ventilation system, but there are a few preliminary things you can evaluate to see if it’s time to call in an expert. Does productivity decrease during summer months? Has anyone remarked that the air inside the workspace is too still? Do you use a lot of tech that produces heat or is at risk of overheating? Does your facility have manufacturing processes that produce a lot of condensation? Does your business use equipment that needs to remain cool in order to function properly? This entry was posted on Wednesday, July 18th, 2018 at 11:50 am. Both comments and pings are currently closed.